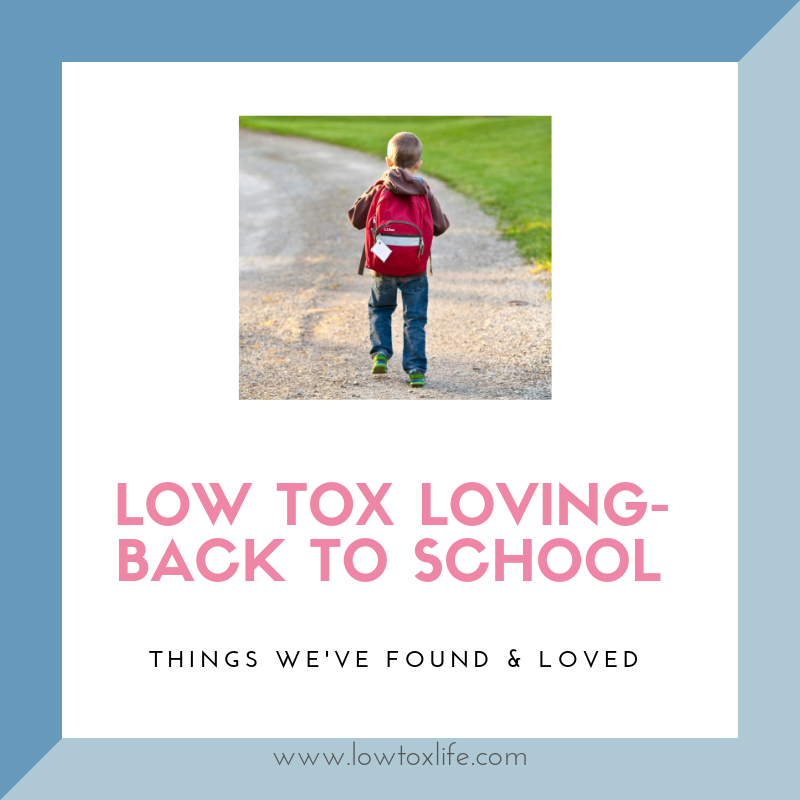 Low Tox Loving – Back to School! 2018 was quite a year to come down from – in fact, I’m still on a high and cannot be more grateful for all the support you’ve given my book (and Booktopia has free shipping TODAY if you’ve not got it yet, your code is: 15YEARS). Now in its 6th reprint in 6 months there is no way we would have got the word out to so many new people without your enthusiasm, sharing, gifting and gentle recommendations. Thank you. We went on a few long weekends. I did a little work here and there, chatted in the community, built plans for 2019 and recorded and researched for the podcast. Nice now that school’s back, to be getting back into things and that first week seeing everyone in the schoolyard – and those TINY kindergarteners, it always makes me think of how quickly all the years till year 4 have gone! So cliché to say, really, but it truly does just go so fast. I remember when it was my little man’s first day at school, I was so nervous because he was going through a little bit of super-shy, freak out phase. But alas, just days before his first day he seemed to snap out of it. Safe to say he took to school without a single tear shed (at least not from him!) and found a bestie that has been his bestie ever since. If your little one has started out at school this year, I’m wishing them (and you) an excellent adventure! In the meantime, I thought I’d put together a collection of a few of my favourite low-tox, eco-friendly back to school suggestions in the event that they’re helpful to you – although, you probably got this all sorted last week. Ha! But maybe some of you are like me out there and starting slow? Often schools will make sunscreen available and unfortunately, what’s available is not always the best option! Here in Aus in the summer months, the sun is so strong and we’re reapplying cream often once or twice. Our skin is highly permeable and our biggest organ, so it makes perfect sense to invest a little more in sunscreen that doesn’t leach toxins through the preservatives or sun protective ‘actives’ used. The good news… if your child packs a sunscreen, they’ll always be able to apply their own low tox version and still be protected. Read our post on sunscreens and after sun care here where we have several options including after sun. 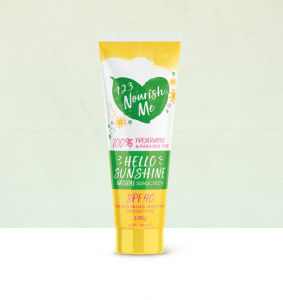 Our top pick is the 1 2 3 Nourish Me Hello Sunshine Natural Sunscreen SPF 40 $29.95. Such a good, nice smelling, performing and protecting sunscreen. Enjoy! When it comes to lunchboxes and school items, invest in a few super high-quality pieces that will last you a couple of years (or longer! ), rather than buying new bits and bobs each school year. Just make sure you label them so little Johnny doesn’t accidentally take your stuff home with him. 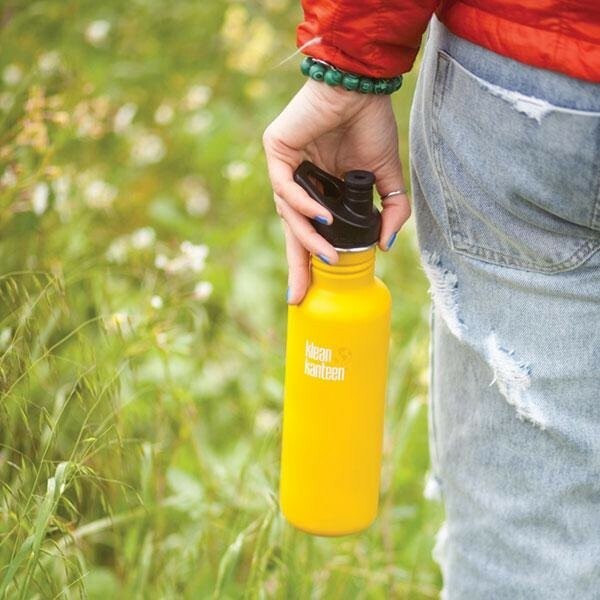 Choose a BPA and toxin free stainless steel water bottle to avoid any nasty toxins leaching into your child’s water. The Kleen Kanteen bottles $15-$50 are durable, keep water super cold are and can withstand being thrown into your kid’s school bag each day. Kleen Kanteen has been independently tested for lead too, so no need to worry on the lead front – surprisingly a lot of cheap, no name stainless tests positive for lead above safety levels as have a few brand name ones over the years, so when it comes to the daily drink bottle, a high quality stainless such as this is worth your while and cash. If you’re ever unsure, grab an instant lead testing kit from your local hardware store and you can see how yours measures up. 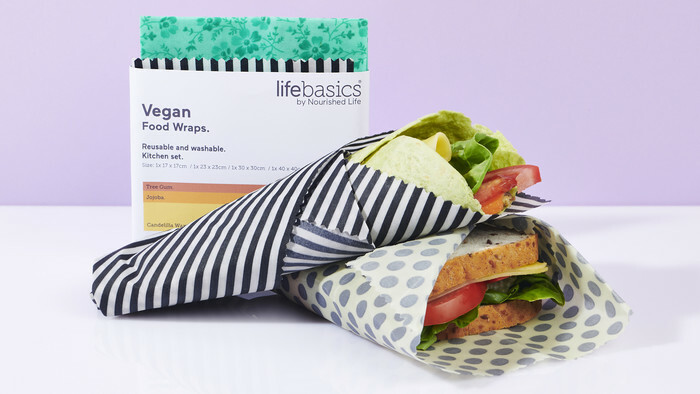 Skip wasteful plastic cling wrap and plastic bags for sandwiches, fruit and other lunchbox items and instead opt for these awesome little Life Basics Eco-Friendly Vegan Food Wraps – Kitchen Pack $38.95. They’re made from Cotton, Tree Gum and Jojoba & Eucalyptus Oils, and they can be washed and reused time and time again. These should last you about 12 months, if not longer! The best bit, they’re an all-natural, biodegradable alternative to plastic. I tend to wrap up little gluten-free muffins and slices, the occasional gluten-free sandwich or some crackers in these. They’re also super handy when covering over leftovers in the fridge. 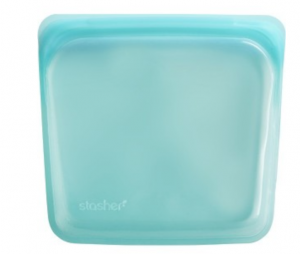 You also have the Stasher silicone pouches which you can put a sandwich into… Also great for prepping smoothie ingredients into batches for easy planning and morning whip up if you’re a smoothie lover, just as a tangential aside! The beauty of Biome’s bento boxes is they’re durable, BPA free, PVC free and lead-free. I recommend two brands from their vast selection in particular. 1 is this Planet Box if you put liquidy things in your lunchbox and don’t want juices moving around the lunchbox from one section to the other. Lots of peeps in the low tox community have this one and love it. It’s great for kids up to 10 years old but after that, most people upgrade to either something bigger or adding a ‘main’ in an insulated pot for bigger appetites. 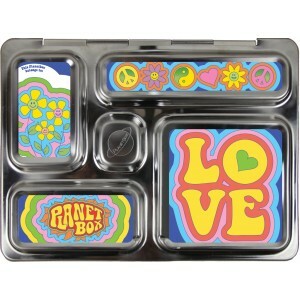 Little kids will love the cute graphics on them and they’re designed to keep food separate and fresh for the whole day. I use this one from Lunchbots (the pure stainless version but lots of peeps like the silicone top so it doesn’t get scratched. Up to you! If I’m doing something yoghurt-based or with sauce, I do that in a small U Konserve container and keep this bento box for frittata, crudites, cold roast veg, berries, crackers, a little bar or banana bread square, cut up sausage or chicken… That kind of thing. We also have the smaller 3 compartment which is great for smaller appetites, kids who don’t eat much at school (don’t stress, focus on breakky and dinner!) 4-7-year-old kids. 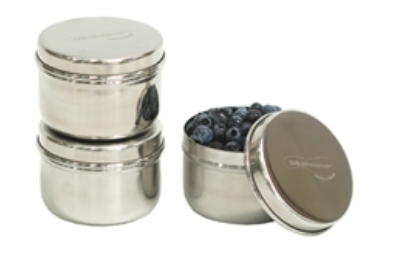 When it comes to storing small portions of food and snacks, opt for stainless steel, leak-free containers like these ones from U Konserve $28.95. They’re BPA free, lead-free, PVC free, phthalate free, reusable and great for keeping food cool in warmer weather. A few of those in your little ones bag with some fresh berries, seedy crackers and sliced cheese, and morning tea is sorted! They’re great also for popping hummus or some other dip into to accompany veggie sticks or crackers. 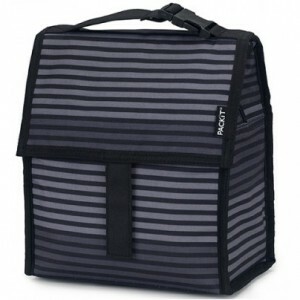 Keep your little one’s food cool and in one place with a freezable lunch bag from Biome. My favourite is this insulated one below that both my husband and little man take with them each day to school and work. It’s PVC/lead-free, non-toxic and super durable. On hot days I’ll just pop it int he freezer until we need it. Note the colour choice – the first couple of years of school I chose a pale white/ red check. It looked tatty and unhygenic after 6 months because of the pale colours (even though it was super clean. Just stained and grubby looking!) So… second time round we went for dark colours. Best decision ever. Still looking schmicko! And onto some other forms of supplies for school! 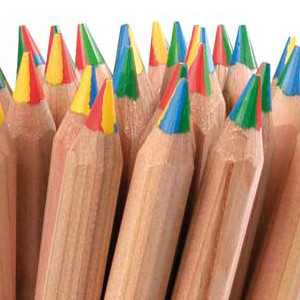 The Lyra pencils are a wonderful eco-friendly, non-toxic option ($2.50 each) if you need to send your child to school with a few colourful pencils. And the BUY ECO GREEN website sells recycled pens, pencils and other stationery items to reduce your footprint on that front. 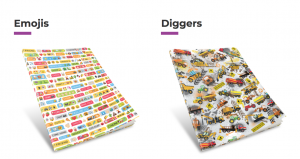 EziCovers mean you can ditch the Phthalate-laden PVC contact paper and use these instead! Still plastic but a much safer kind for your little peeps! 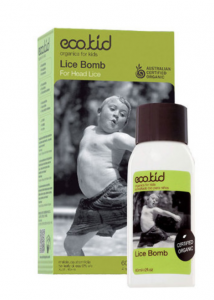 Hopefully, you won’t need it but just in case – The EcoKid licebomb is a goodie! If your teens are spending a lot of time on screens for school work (and let’s face it often for anything BUT school work, it seems!) then consider investing in these 100% Blue Light blocking glasses for them to wear (many of the light lens options only filter 50% so these are the best available in the clear-lens stakes). 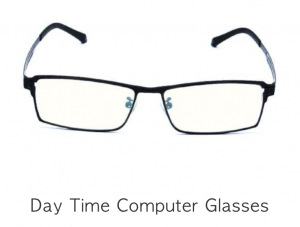 You wear these to block the blue light, so that you protect their melatonin rise in the evenings and ensure they’re still getting great sleep. 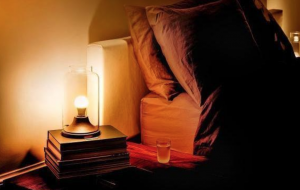 The sleep enhancing light bulbs are a fantastic reading light too – we have these as our reading lights and our living space evening light, so melatonin is not suppressed! If you’re already feeling overwhelmed by the whole ‘what on earth do I pack them for lunch? !’ scenario, here’s a great little post from the Low Tox Life archives with my tips on how to create a balanced, low tox and waste-free lunch for your kids. This was my little guy’s very first lunch box for school. He lost that one on the right which was a cool double-decker vibe I’d found visiting the UK a few years back IN THE SECOND WEEK OF SCHOOL. Hehe. I know I’m not alone there. 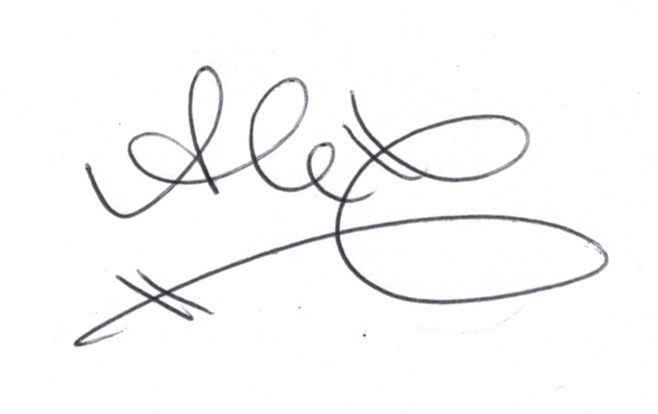 Thankfully we’ve had all the other pieces I mention in this blog ever since. Phew! 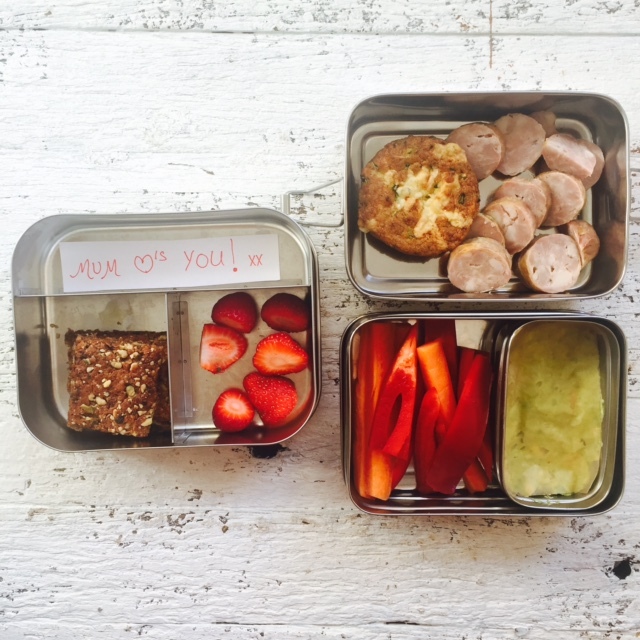 Low tox is expensive when it comes to lunchboxes, but with that comes the opportunity to teach our kids the true cost and value of things and that if they lose it there are consequences and it’s not just an instantly replaced ‘thing’. While you’re in recipe planning mode, here are some of my top recipes on the blog specifically for lunchboxes – all gluten and refined-sugar free. 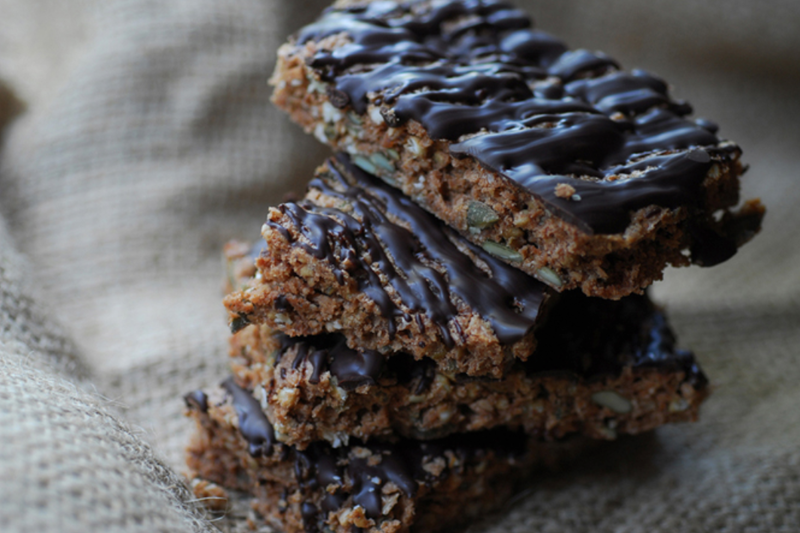 My personal favourites are the ‘Free From Lots’ Crackers and the Chocolate Coated Buckwheat Bars (even my team LOVE these). 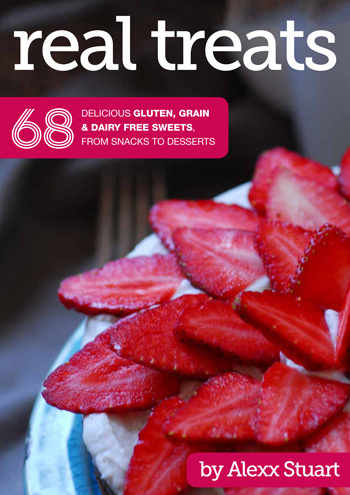 For more inspiration, check out my Real Treats eBook: 68 recipes for delicious whole food treats that are 100% gluten and refined sugar free. 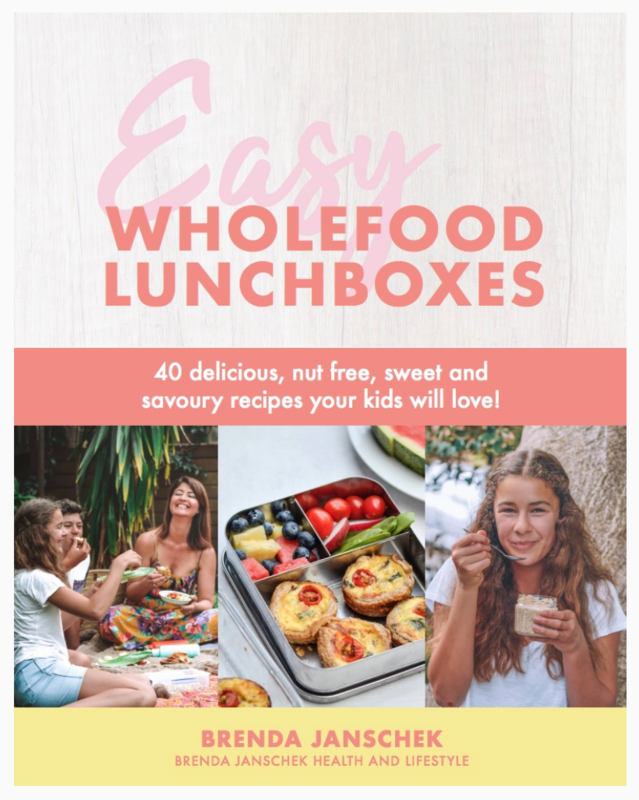 For some more lunchbox inspiration check out my collaborator extraordinaire on the Thrive course, Brenda Janschek’s eBook ‘Easy Wholefood Lunches'($14.95). 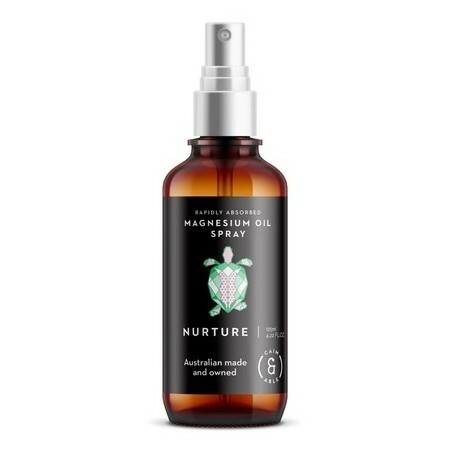 Help your kids wind down at the end of the day with a transdermal magnesium oil like this beautiful one from Caim Able ($19.95). A couple of sprays of this Rose & Frankincense infused magnesium oil on the soles of their feet can aid in sleep, relaxing the muscles, easing aches and pains and boosting magnesium levels in the body. It smells delightful and getting them to spray it on their feet themselves makes them feel like they’re doing something important for bedtime. While you’re there, give yourself a few sprays too ;). 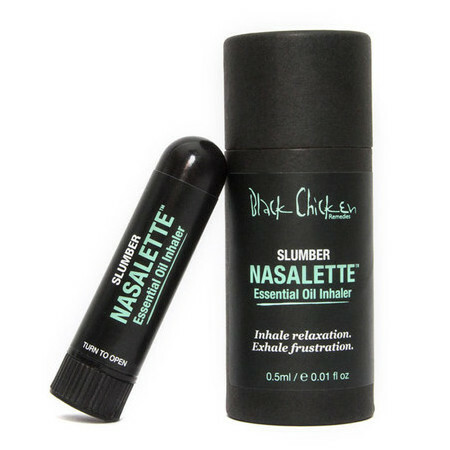 Another great ‘chill out’ option to help your kids wind down after all the excitement of school and activities is a few sniffs of the Black Chicken Remedies Nasalette Essential Oil Inhaler in Slumber ($19.95). Black Chicken is a gorgeous Australian brand and their whole range is fantastic (you’ll have seen me rave about their copper tongue cleaner, “Cleanse My Face” oil cleanser and Skin Polish as some of my all time faves as is the Balm of Ages. If you’re a fan of Young Living Oils they have a beautiful essential oil roll-on blend called Tranquil ($48-$65 depending on if you have a wholesale account or not) that was designed to provide stress relief and relaxation. I actually gave this to the little man’s direct teachers for Christmas last year as a teacher gift. Very apt I thought! With oils like Lavender, Cedarwood and Roman Chamomile your little kids will be primed and ready for bed after a day of running around. If you want to learn more about how to get a wholesale account AND have the assurance that you’ll never have to go “Oh gosh here comes Alexx, run she’s trying to sell you an oil” hehe, then have a little squizz here. And lastly, the next round of Go Low Tox starts on 18th Feb! Doing this at the start of the year means that the rest of this year and forever more, you’re going to feel empowered about your day to day choices. You’ll be buying less, buying better, learning how to be a label ninja and covering 25 topics that span every aspect of daily life. Come and join me. Register HERE. 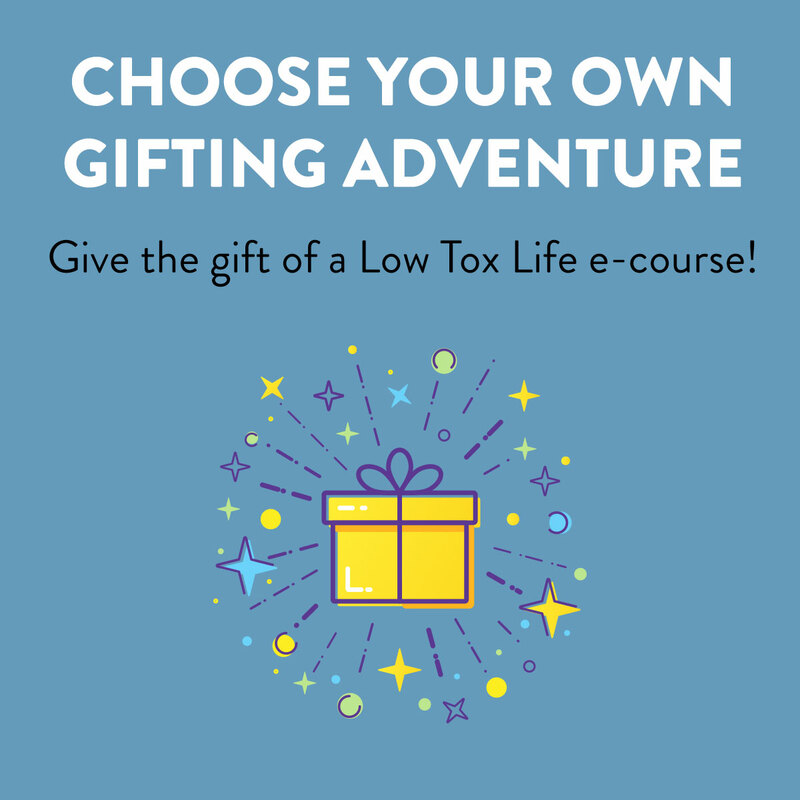 Gift vouchers are live HERE too if you wanted to get the course for someone else! So there we go, hopefully, a few ideas to help you feel organised, in control and ready for another school year with your kids with a few exciting ideas thrown in the mix too. 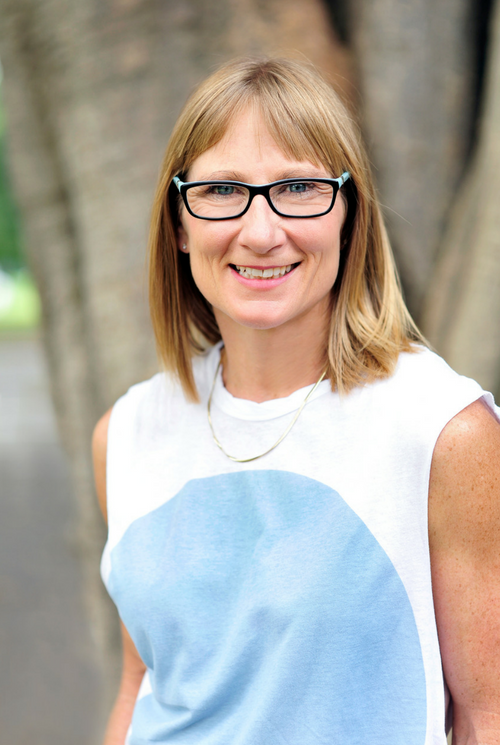 If you’re a small business owner with a wonderful low-tox kid-friendly product or service then please share with me below or pop us an email at [email protected] – We’re always excited to share your wares with the community when we can. This is awesome, thanks Alexx. I’m always so inspired by your posts. 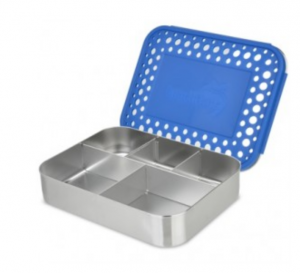 I bought my kindy and yr 1 kids the stacker stainless steel lunchbox from the Source but i have buyers regret as it’s not really a good lunchbox for them (hard to open, bits everywhere and food uneaten as it’s not visible – and it’s hard for me to pack/organise in the morning). I am so keen on Lunchbots and was wondering if you are planning on a Biome offer on your podcast? They get such good promotion from you! 🙂 Thank you again for all that you do.